During last 15 years, Google worked to create one of the fastest, powerful, and high-performance cloud infrastructure all over the world. Nowadays, this infrastructure is used as the base for multiple high-speed global Google services, including Gmail, Maps, YouTube, and Search. 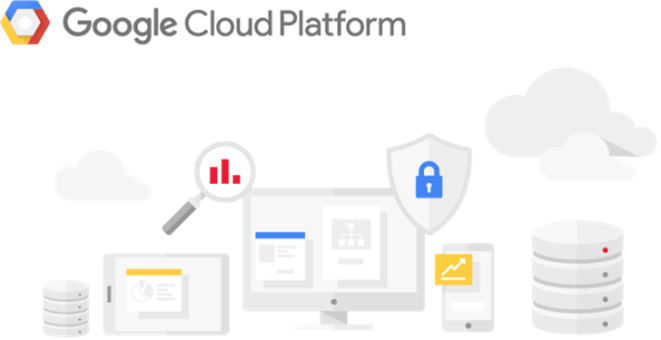 Google Cloud Platform gives you the opportunity to work with different tools for computing, and hosting. You can choose a managed application platform to use the technology of containers for more flexibility or to create your own private cloud infrastructure, which is maximally controlled. on the one hand, this solution offers you a plenty of room for independent management of resources, and on the other hand, if you don’t want independent control, Google can manage all the infrastructure itself! In this case you will only deal with application development. Google App Engine it is cloud platform to host various web and mobile applications and “back-end”s. App Engine controls most of the resources. For example, if your application needs more computing resources, cause of increasing the traffic to your website, Google will auto-scale the system to provide them. In the case when the system software is required for security update, it will also be updated for you. Containers. When you are using containerized computing, you can focus on your application code and not on the deployment and integration. Google Container Engine is built on the ”open-source system base “Kubernetes, which provides the flexibility of local or hybrid clouds and also Cloud Platform infrastructure. Virtual machine. Google provides reliable computing infrastructure, but you should select and configure the platform components that you want to use by yourself. Compute Engine will help you to manage configuration, administration, and monitoring systems. The service provides full control and unlimited flexibility. It was a real test for Google Cloud Platform, when Niantic has run their Pokemon GO. Google Customer Reliability Engineering is a new model of cooperation. According to it Google technical experts integrate with the client’s team and share responsibility for the reliability and success of cloud applications. Niantic was the first customer of Google CRE and the first project they made was the launch of Pokémon GO. And it was the best test for all! Within 15 minutes since it was launched in Australia and New Zealand, the traffic of Pokemon GO has far exceeded the Studio expectations. This was first and clear indication that the Niantic team has created something special. Niantic called Google CRE for help on the eve of the American launch, that was going to be held next day. Niantic and Google Cloud, including CRE, developers, support and management were ready for the new pokémon coach invasion, since according to all forecasts, Pokémon GO was going to beat all previous records of number of players. Pokemon GO is a mobile application that uses many services of Google Cloud, but the major cause of game popularity was in Cloud Datastore, with its role of the main database of the game in which you should catch the pokemons. A chart shows the story from the start: Niantic team was expecting 1x players, and the worst-case scenario envisaged 5x. The rapid growth of popularity of Pokémon GO has led the traffic to over 50 times greater compared with the initial estimation and 10 times more than critical level. In response, on behalf of Niantic, Google CRE has prepared additional resources to stay ahead of the record growth still. Not everything went smoothly at startup. 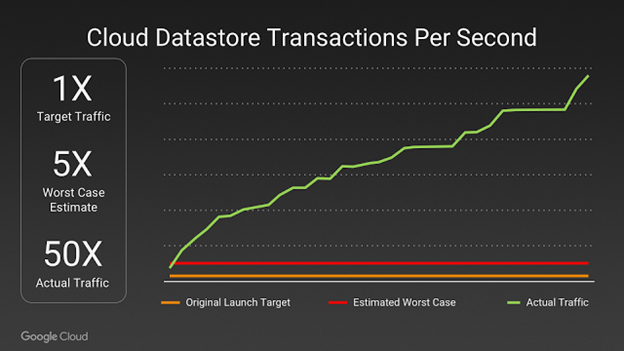 When there were problems with the stability of the game, Niantic and Google engineers were consistently solving every bug, rapidly developing and deploying solutions. Google CRE team worked hand in hand with Niantic, reviewing the whole their architecture with the help of key engineers and product managers of the Google Cloud. All this was done on the background of millions of new players who had connected to the game. To sum up, Google Cloud Platform is designed for full support of developers for projects of all sizes and purposes. Example of Pokemon Go confirms this. Of course, there are other solution like Amazon AWS and Microsoft Azure. But healthy competition is always good for the end user.